Bingo Extra Casino was established in 2015 and is under the management of Daub company. The casino offers a vast variety of online casino games including bingo and online slots and table games. The casino is also licensed under the Alderney and the United Kingdom jurisdictions. Since being founded over three years ago, the casino has always been providing the best gaming experience and offering the best promotions and bonuses for new players and existing customers. The casino also offers a vast variety of casino games to give players the actual casino experience while at home or anywhere else. Bingo Extra Casino offers the best variety of progressive jackpot casino games to ensure that players get to enjoy the casino experience and have a good payday having made many players big cash winners. The progressive jackpot games include; Mega Movers, Temple of Iris, Enchanted Prince and Twinkle among others. Bingo Extra Casino also has a variety of online slot games to keep players entertained. The gaming providers including Net Ent have ensured that players get to have a feeling of adventure as slots have different themes. Some include; Dream Date, Tripoll, Emoticoins, Cash Blizzard and 3 Panditos among others. The casino also offers a good variety of table games. The table games offered by the casino are of high quality and give players a thrilling experience. The table games include; Blackjack Realistic, European Roulette, Hi Lo Blackjack, Super Wheel, and Texas Hold’em among others. The casino has a pretty good list of bingo games even as the name suggests. The bingo games have different bingo rooms, some include; 90 ball bingo which includes The Dinner, 75 ball bingo which includes Candy Store, and 5line bingo which includes Roller Link. The casino offers live dealer games like live roulette, Blackjack, Live Casino Hold’em and Live Baccarat to ensure that live dealer games fans are catered for at Bingo Extra Casino. The live dealers are able to chat with players and explain to them the rules of the live game just like at the real casino. The casino offers a new player a bonus on their first deposit. 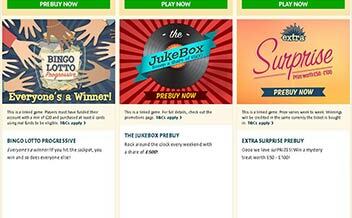 The 100% bonus is of up to £50 for slot games. This bonus also attracts a 25x wagering requirement before any withdrawals are made and a 400% bonus for up to £50 with a 25x wagering requirement for Bingo games. This offer for sure is hard to pass. The casino offers a 100% bonus for up to £50. This bonus attracts a 25x wagering requirement before any withdrawals are made. Online casino players are for sure taken care of with this casino bonus. The casino also offers players a bonus on their third deposit. The bonus is a 150% for up to £50. This bonus also has a wagering requirement of 25x before withdrawals are made. These casino bonuses are for sure hard to pass. Join Bingo Extra Today and change your gaming experience. 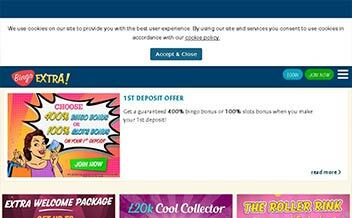 The casino is always adding new promotions and bonuses to keep and attract new clients. Therefore, for regular players need to keep up with the new changes that the casino is always introducing. For this reason, this section has been kept aside to enable players to keep up with new information regarding the casino. Make sure to visit this section to be up to date. The casino has surely an impressive and awesome software. The list of games available is vast and cater for every players’ taste and preference. The slot games, for example, have different kinds of themes to give players a feeling of adventure as they play. The software providers for Bingo Extra include; Play’n Go, Bally, IGT, and Microgaming among others. Visa, MasterCard, Maestro, PayPal, Neteller, Wire Transfer. The casino has a lot of restricted countries some include: Argentina, Afghanistan, Algeria, Angola, Australia, Bangladesh, Bahrain, Bosnia, Belgium, Brazil, Canada, China, Bulgaria, Colombia, Denmark, Djibouti, Cuba, Colombia, Cuba, Germany, French, Laos, Iceland, Greece, Guam, Italy, Singapore, South Africa, Kenya, Somalia, Hungary among others. 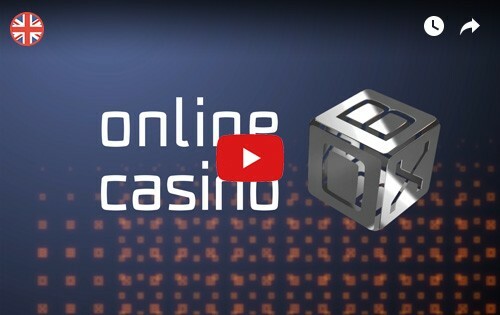 Bingo Extra Casino allows players to access the casino on mobile, tablets and desktops. Therefore, players get to enjoy the access to casino games instantly and on the go. The casino supports among the major web browsers like; Chrome, Mozilla, Safari and Opera Mini among others. Bingo Extra Casino has the web browser, for sure the software providers did a good job. The web browser is really easy to use and navigate. The web page has various sections that show the casino features, which some include; casino games, casino promotions, and casino support. The casino’s desktop version is quite the same as the web version. The mobile version of the casino is for sure the best. Players get to conveniently access the casino games anywhere, anytime. Bingo Extra Casino has always put the interests of players first, it, therefore, uses the best SSL encryption to ensure that players sensitive information like identity and financial positions are kept safe. The casino is also registered with the United Kingdom Gambling Commission and Alderney Gambling Commission. The casino has been proven fair by ECOGRA. The casino offers the best customer support to make sure that every player’s queries are answered within reasonable time. The casino has the best personnel who offer and effective assistance to a player. 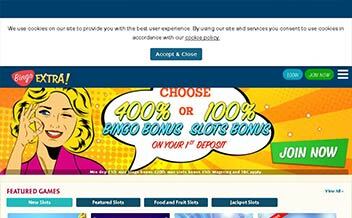 The casino offers live chat, telephone number email address for customer support available 24/7. Bingo Extra Casino has been in the business for over three years, and throughout this period it has been providing players with the best casino experience providing a vast list of games to keep them entertained and offering promotions and bonuses to maintain their clients. 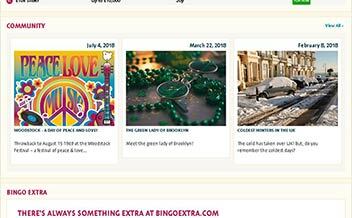 The casino is for sure growing and any online games fans should for sure join Bingo Extra Casino Today.